The Medical Committee of PGDAV College (Eve.) 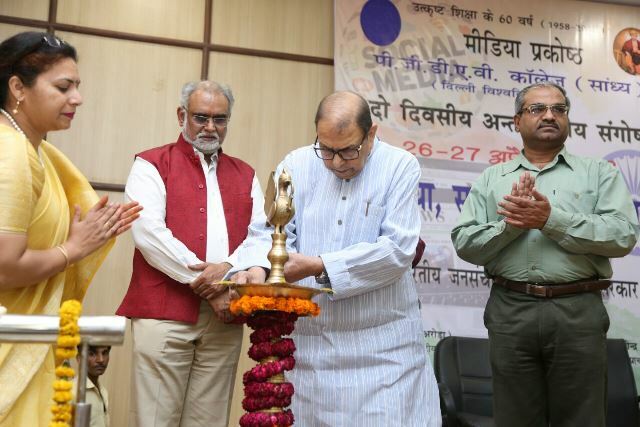 has been celebrating 60 years of academic excellence by organizing a spectrum of activities. To continue with the endeavor, the medical committee organized a talk on ‘’ AYURVEDA AND ALOPATHY – an integrated approach towards medical treatment ‘’ addressed by world renowned ayurvedic specialist DR. AKHILESH SHARMA, on march 15, 2018. Dr. Sharma was honored by Dr. RK Gupta, Principal of the college and Dr. Anita Bajaj, convener of Medical Committee , with a momento of ‘’ॐ‘’ signifying the essence of Vedas. 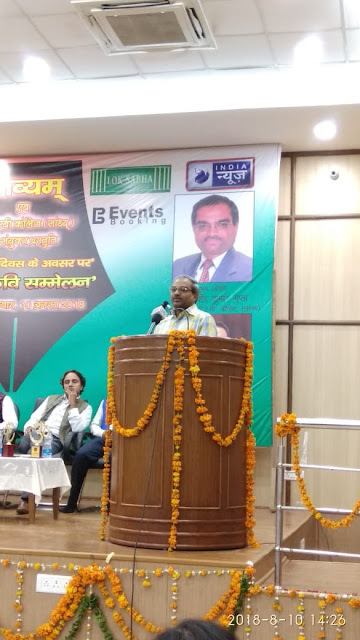 After lightening of the lamp, Dr. RK Gupta mentioned the extraordinary achievements of the chief guest, Dr. Sharma and briefly introduced the topic along with emphasizing upon the importance of AYURVEDA in today’s modern world. 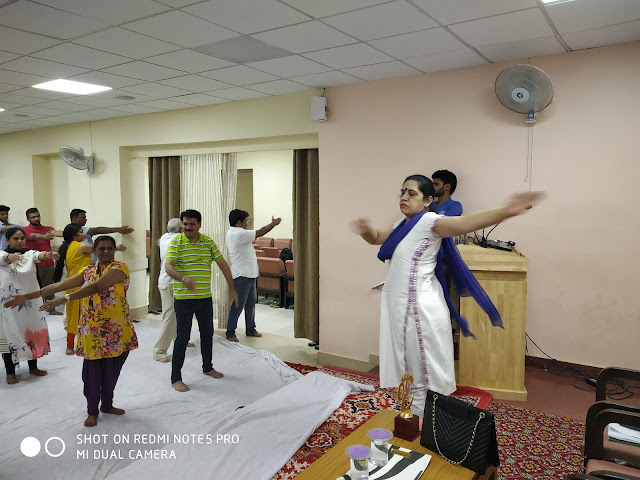 Dr. Sharma began his harangue with a Vedic Mantra that infused the gathering with positive and sacred vibrations and emerged the feelings of realizing true self. Later on, he pragmatically differentiated between Medical Science and Ayurveda, where medical science is limited to the physical soundness of health. On the other hand, Ayurveda is the WAY OF LIFE combining physical, mental and spiritual well being for good health and hence is not just a part of knowledge, but a PURE KNOWLEDGE. He also prudently mentioned the Modern Atomic Theory, as the replica of PANCHABHUTA or 5 element theory (Air,Fire,Water,Earth,Ether) of Ayurveda and Indian philosophy. Besides, the varying combination of VAAT, PITTA and KAPHA inside our body is the reason for difference in our personalities and knowing our body-type, based upon the above-mentioned 3 factors, can analytically predict the good for us and thereby leading us towards a Balanced Life. Dr. Sharma educed the talk by saying that Ayurveda is not merely limited to Healthcare and Medicine , but it is an ART OF BEING to achieve LIBERATION (MOKSHA) - the ultimate aim of life. Erudite understanding of Ayurveda, can bring revolutionary changes in the life of masses for the welfare of humanity. At the end, Dr. Anita Bajaj concluded the event by proposing a vote of thanks and expressed gratitude and respect for the chief guest Dr. Sharma ,Dr.RK Gupta, other members of the committee and the students of the college.